The construction of sanitary installations frequently requires partition walls to create separate shower or toilet cubicles or to divide rooms. Constructing such walls of masonry bricks or covered stud frames is time consuming and surfaces often need further preparation before they are ready for tiling. 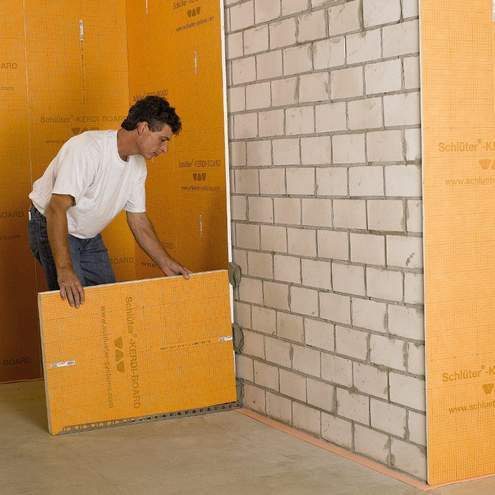 Suitable panel thicknesses of Schlüter-KERDI-BOARD can be used to quickly and simply create stable and self supporting partition walls that are immediately ready for tiling. 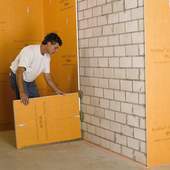 If required, the partition walls can be further attached or stabilised with the angled and U shaped components which form part of the complete system. The abutting panel joints and weight bearing joints must be filled with adhesive. As an alternative, stainless steel profiles can be used to cover the visible areas or for the attachment of fittings. Schlüter-KERDI-BOARD is ideally suited to create anything from simple partitions to entire toilet and shower facilities or public changing rooms. 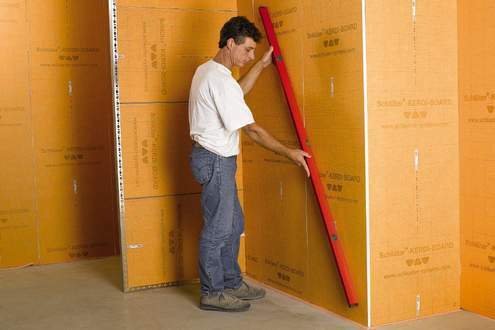 Depending on project requirements, panel thicknesses of 38 or 50 mm should be used for self supporting partition walls.